The entire crew of the Menlo Park signed up for another voyage into space, so everyone is certain that they found something very important. The problem is that space is too new, so there is still a lot to discover. Those of the Menlo Park simply claim that they are making a trip to expand humanity's knowledge of what is out there in space, but others suspect they know where to find more. From saucer flying aliens to an aged photographer, the Menlo Park has its share of encounters. Whether any are substantial enough to earn them a place in history however will need something more than interesting topics for the evening news. The captain is definitely determined to gain fame and fortune, and has hired the best crew to accomplish just that. Whether they are just gambling on what might be found along their route, or actually have an ace-in-the-hole is something no one will be able to figure out before they make their move. While I tried to keep to actual possible science, I also looked to historic tales of science fiction in choosing my characters. The young intelligent whiz-kid was given a dash of maturity and a wife. The daring captain was made a practical man of gaining wealth. Many other staples of science fiction were altered and set as crew members on the space ship Menlo Park. The novel is composed of thirty short stories told by the many personalities on board the Menlo Park and a few off. As each tale is narrated, the crew of the Menlo Park is brought further into the unknown and toward the fate they sought to experience. The title changed, but the set of stories do tell of only one voyage. The stories are from different people, so cannot be said to be only one tale. 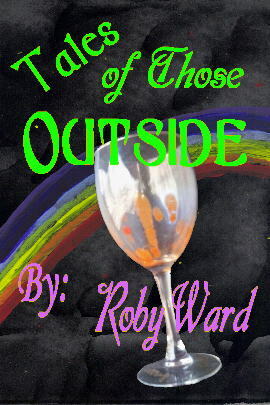 I am quite pleased with the cover, as it presents the two stories that are my personal favorites. Anyway, should be sending it to the printer next week. Now available on Kindle and Lulu. Almost 200,000 words of serious science-fiction. I am quite proud of this.